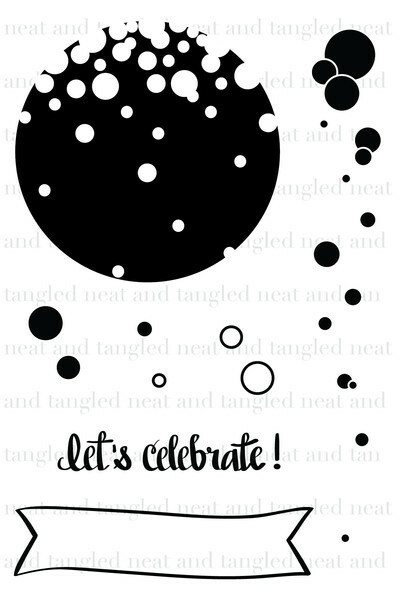 It's 'anything goes' this time around for the Little Tangles Challenge, so get your Neat & Tangled Stamps out or get your free digi from here and make sure you play along! 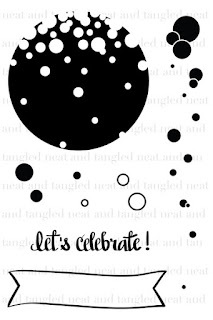 I love circle stamps, so I love, love, love the Party Dots set. I stamped the circles in Hero Arts shadow ink in soft pink and heat embossed the sentiment from the same set with silver Zing embossing powder. Pretty simple card but it took way longer than it should have after making a few silly mistakes, don't you hate it when you adhere your panel upside down on your card base! It looks a lot better in real life too, I just couldn't get the lighting right at all and then couldn't fix it on the computer either, oh well I just have to accept I was having a bad day. 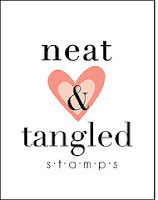 And of course you have the chance to win one of the fabulous Neat & Tangled stamps so please play along and link up over at the Little Tangles Blog! You have until March 17 at 11:59 EST. I am going to put this card in the CAS on Sunday challenge #3 - Happy Birthday. Tracy this is such a pretty card, I love the pink and silver embossing together. LOVE the embossing, so pretty! Charming card Tracy, you sentiment banner is lovely! This is wonderful Tracy! The banner is a wonderful touch! So glad you played along with us at CAS on Sunday! This is quick fabulous. A friend and I hosted a Bubbles & Brunch party last year for her birthday and this would have been the perfect invitation! So cute & perfect.